ECMA nominee Fortunato drops his latest video "Built For This" alongside Red Bull Academy DJ, DJ IV from their new album "2 Bad Dudes". Fortunato can be seen roaming through a futuristic city spitting gritty raps with his signature rusty chainsaw flow. 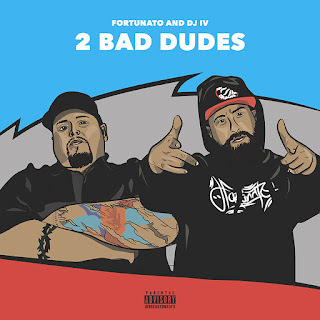 "The message is simple" says Fortunato "A lot of people try to make it in the rap game but most ain't built for this".